Ever since the 16th century, people have tried and succeeded in sailing around the globe. Now, that once-dangerous feat can be accomplished by ordinary people as well—and as a leisure activity at that. This is arguably the best and easiest way to see the world. An Oceania World Cruise is one way to do that in the 21st century. Oceania World Cruises – What Are They? Designed to offer experienced travelers the opportunity to visit all corners of the globe, Oceania World Cruises are sensational around-the-world voyages. Kicking off in 2019, with their Around the World Itineraries, you will be able to start your around-the-world adventure in Miami, Los Angeles or New York City. On the Oceania Insignia, unforgettable experiences await. Explore myriad exotic destinations, near and far, while literally circumnavigating the world on a once-in-a-lifetime journey. On an Oceania World Cruise, you will visit five continents and more than 35 different countries, as varied as you can possibly imagine. 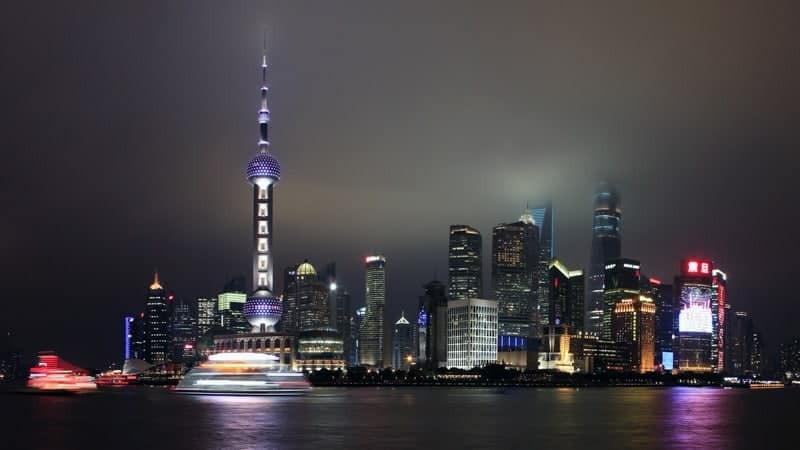 Embarking from one of three ports in the USA (Miami, Los Angeles or New York)—for 2020 cruises, Miami and San Francisco will be your possible starting points—, you are in for a memorable journey unlike any other you’ve ever been on. On an Oceania World Cruise, you will visit five continents and more than 35 different countries. You’ll see the iconic architecture of Sydney and visit the holy sites of India. You will experience the verdant countryside in Bali and enjoy the island cultures the Philippines. And that’s only one corner of the world! 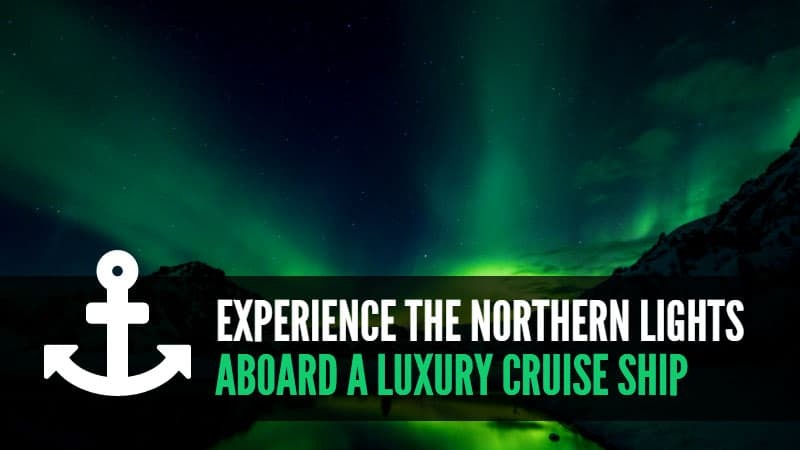 You’ll also cruise the Caribbean and cross the Panama Canal, sail around Hawaii and Japan. 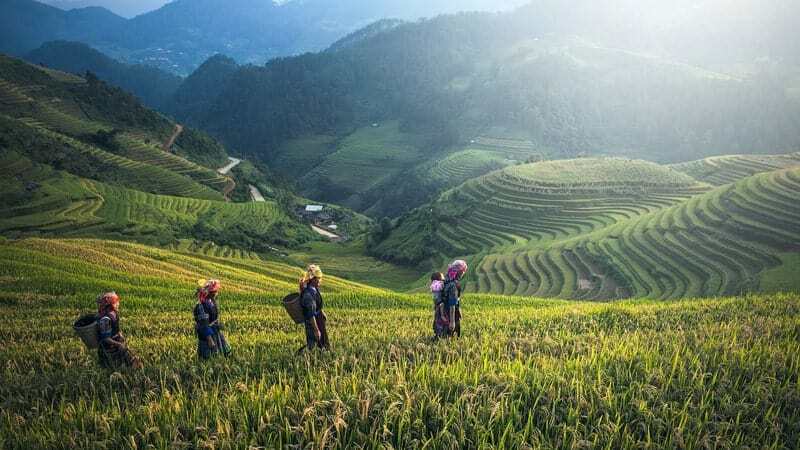 You’ll discover the best of Southeast Asia, including Thailand, Vietnam, Malaysia and Myanmar. 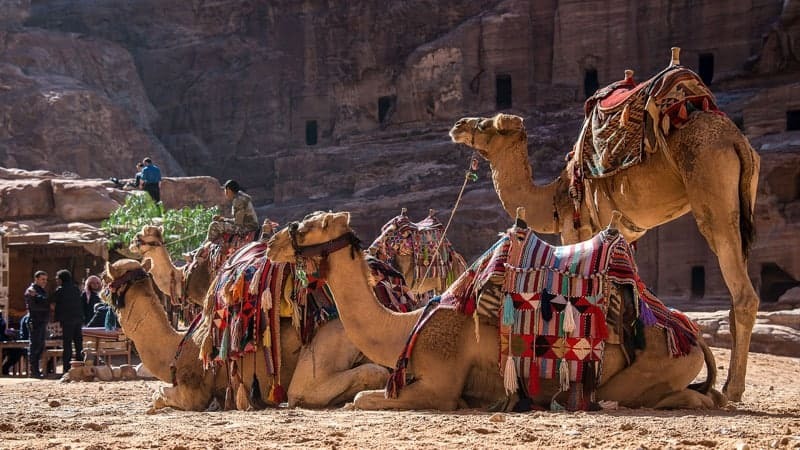 Sailing ever onward, you’ll arrive in the Middle East, where the beauty of ancient treasures such as the Red Sea, Petra and the Egyptian Valley of the Kings will blow you away. And you’re not even close to done after that. 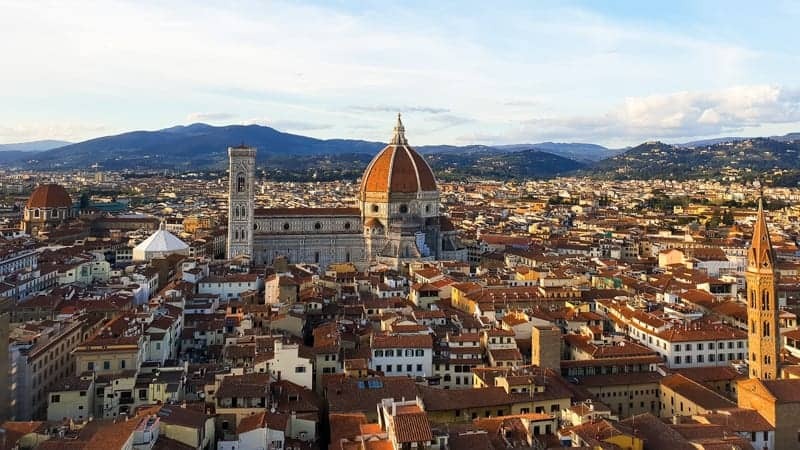 Europe is up next, a continent so filled with spectacular architecture, delicious food and wonderful nature that you could spend a lifetime exploring it. The world cruises from Oceania Cruises focus on two particular regions: the Mediterranean and the British Isles. The itinerary takes you to such gorgeous countries as Greece, Italy, Spain and Portugal before sailing around the United Kingdom and Ireland. Crossing the Atlantic is the last major section of your trip. Remember this is a journey that, otherwise, would be a pretty amazing experience all on its own! Now, on a world cruise, it’s simply another region you’ll sail through. Isn’t that simply mind-blowing? 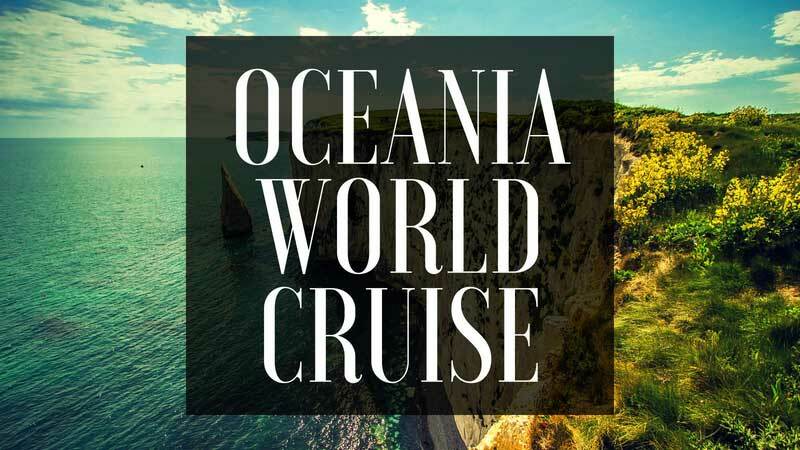 There are a handful of Oceania World Cruises available and their length depends somewhat on the itinerary and point of embarkation you choose. None of the cruises that sail completely around the world are shorter than 174 days—almost half a year. 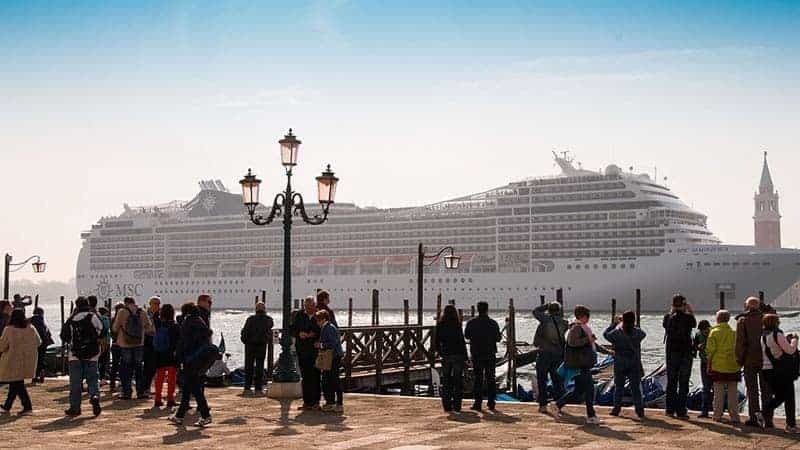 If you want to go on one of these life-changing, awe-inspiring Oceania World Cruises, you shouldn’t be surprised that they cost more than the average cruise. However, compared to the average cruise, you’re getting getting considerable value. Prices per person start at as low as $37,399. If that price seems a bit daunting to you, and we understand that it might, remember that we here at Cruise Travel Outlet do everything we can to help you get great deal on your cruise. Contact us for a quote here. Since 1992, we’ve guaranteed some of the lowest prices, and have been committed to providing the best possible customer service. We guarantee that we can beat every direct deal from any cruise line!